Scroll down through Gravelle's FB page for some nice guns. 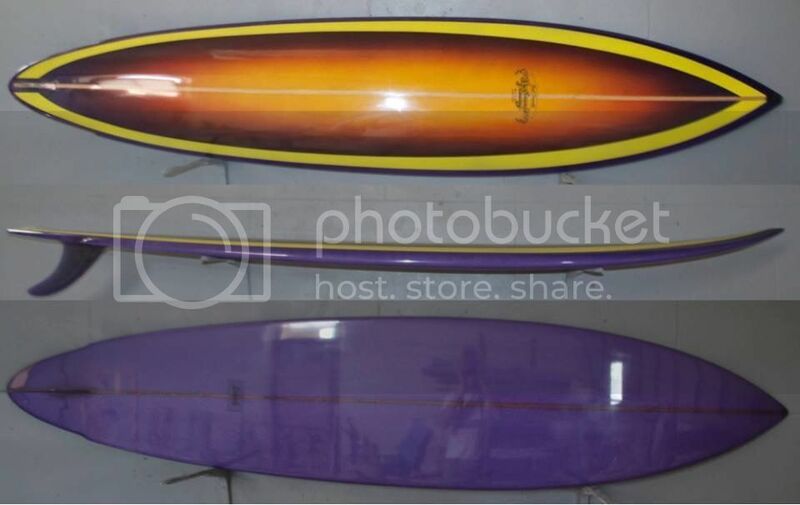 His standard short boards are around $650, not bad for a custom these days. Do you know where your fishing stuff is made? Or your wetsuit?? Or half the stuff in your house? it's made in Asia, and I benefit from the cheap labour, same as surfboards. Or the sweat shop girls he has holed up in his cellar? marauding mullet wrote: Scroll down through Gravelle's FB page for some nice guns. 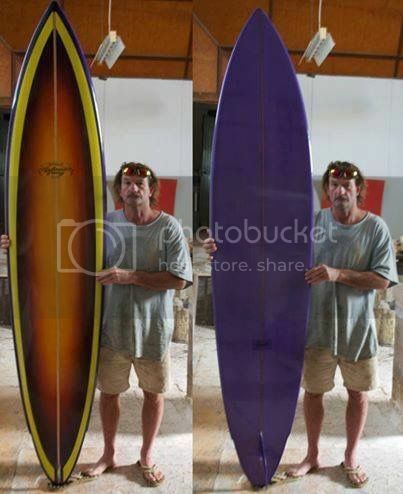 His standard short boards are around $650, not bad for a custom these days. Beerfan wrote: Do they make a 7'0? I bought mine for $400 when they were selling out the last of them. Thats the one. I haven't bought a board from anyone else (excluding Gumtree) for 20 years. I used hang out there a bit in the late 90's/ early 00's..bought numerous boards off him. My user name comes from a particularly awesome 6'10" channel bottom he shaped me. WW! Had to think for a minute: Wave Walkers. No I wasnt. kayu wrote: 7' 3" single fin. This not very old single was stolen from Penong in SA a few days ago. Very distinctive, not mine but if anyone notices it let me know. steve shearer wrote: it's made in Asia, and I benefit from the cheap labour, same as surfboards. The concept that buying a product from Asia is beneficial , is debatable at best .....the more people that buy Australian-made the more genuine benefit there is . Every country should support it's own manufacturing , before supporting the manufacturing of another country. The biggest benefit is that everyone in Australia , and the Australian economy in general , benefits far more from having low unemployment , and a strong productive manufacturing sector....not just in the surfboard industry , but every industry.......another benefit , is that the quality of Australian-made is generally far higher than an imported product , and far better value in real terms......on a more personal level , surrounding yourself with el-cheapo sub-standard junk , will erode your quality of life in general , and lower your personal standards . There are so many top quality Australian made products that are no longer available , since people became convinced (by media campaigns) , to buy imported trash , instead of good quality Australian-made products . Go to your local tip , and check out the mountains of imported junk , that doesn't last because of its poor quality......not buying Australian-made , to save a few short term $$$'s is the economy of nincompoops. Picked this up in Ulladulla , a paddling machine 8'8"x21 1/4"x3 3/8"
Surfed it last weekend at Golf course just to see how handles, quite easy to turn and did I mention it is a paddling machine! Loving this south coast sunshine.